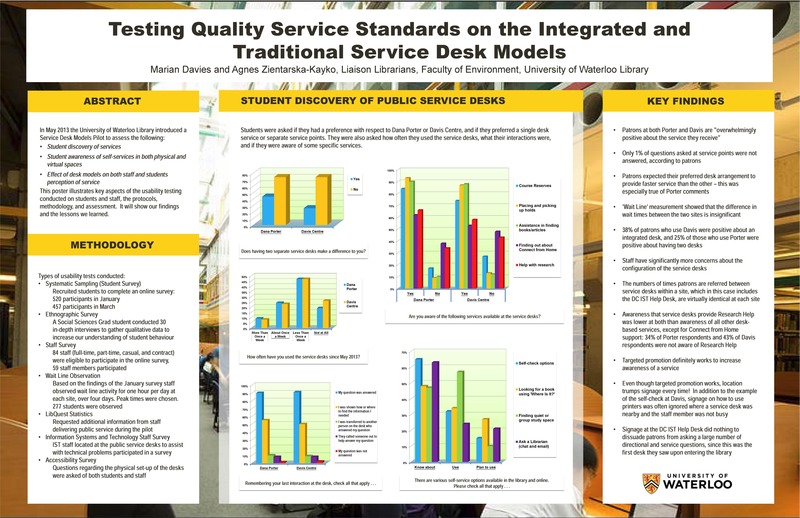 In May 2013 University of Waterloo Library introduced a Service Desk Models Pilot to assess student discovery of services, awareness of self-services in both physical and virtual spaces, and the effect of desk models on staff and students perception of service. See below for details of the usability testing conducted on students and staff, the protocols, methodology and assessment. Click on the image to enlarge.